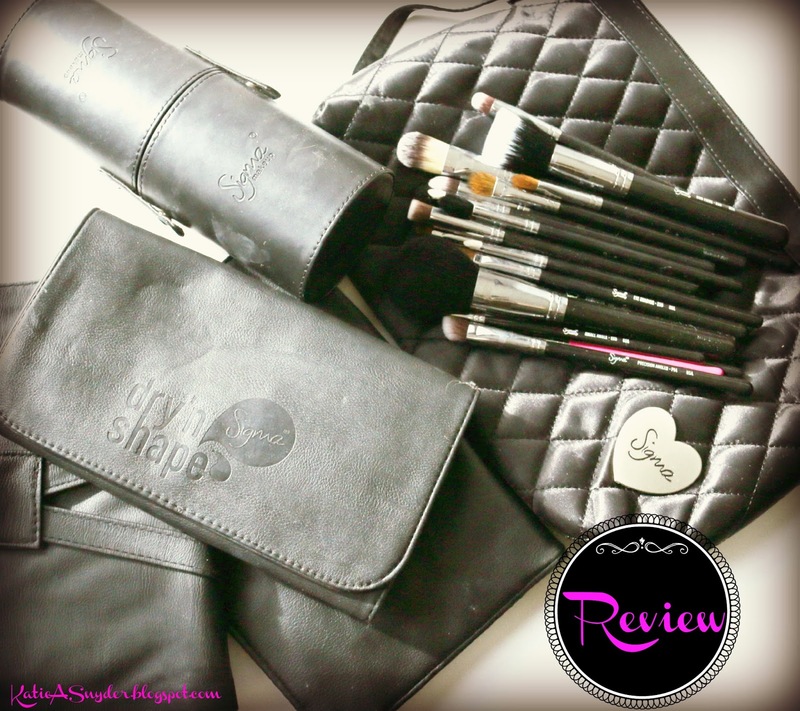 For anyone who has been on the YouTube/Blogger scene for a few years, whether as a content creator or as a viewer, you will have undoubtedly heard of Sigma brushes. It seems as though every major YouTuber/Blogger was pushing Sigma, and some were pushing hard, as a result of this Sigma received a reputation for “buying off” beauty guru’s, so I thought I would do a post today thats sets the record straight, so prepare yourself for the good, the bad, and the OMG aspects of Sigma. This brush is your standard foundation “Paint” style brush. It provides good coverage as well as is slightly tapered to allow the best blending possible. The only problem I have had with this brush is the cleaning of it, a lot of foundation gets stuck in the upper bristles of the brush near the barrel. This brush is a tiny version of the foundation brush slightly tapered and flat. It also collects a lot of product near the barrel just like the foundation brush, but it still does the job. This brush is one of my favorite blender brushes, this is perfect for blending conceal or into the skin, as well as for doing concentrated contour and highlighting. This brush is an angled version of the P80 (above), and just like the P80 it is great for blending concealer, as well as contouring and highlighting. 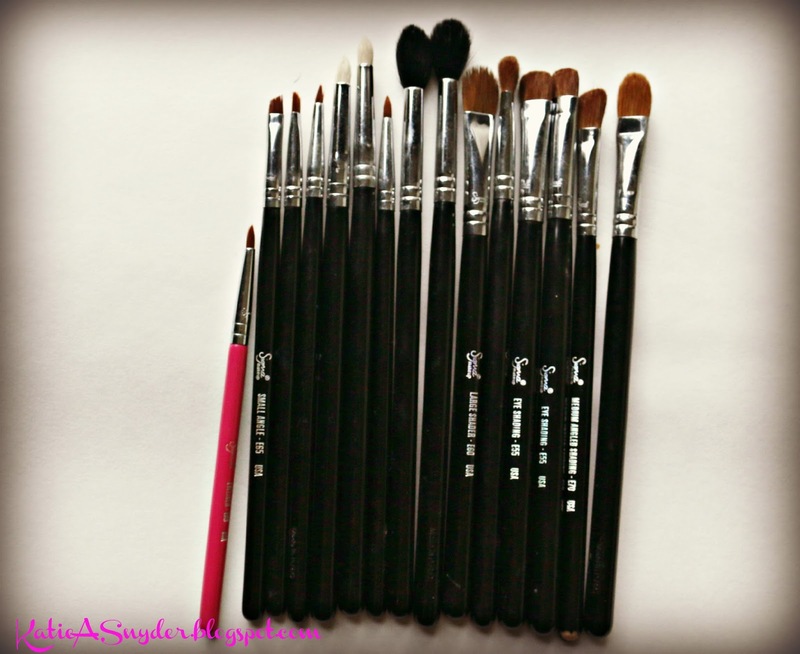 I use this brush as a crease blender brush, it is tapered which allows for softer blending where wanted. This is one of my favorite eyeliner brushes, actually I take that back, this is my favorite eyeliner brush. The brush tip is the perfect length as well as has the tiniest tip that is prefect for a tight line, and creating that perfect cat eye. This is a great pencil brush, the only down side of it is it’s white, I only use a pencil brush for smudging under the eyes and that usually consists of dark colors so it needs to be washed after each use or it will stain after a while. This shader brush is perfect when packing color all over the lid, it applies even the most vibrant colors flawlessly. This is a great crease brush, especially for beginners, because of the angle its able to fit in your crease and create that perfect smokey eye without a lot of makeup experience. This flat/stumpy brush is great for building multiple colors on the lid, as well as smudging under the eye. I have hated this brush since the day I got it (that was almost 2 years ago), this brush bleeds black dye to this day, as well as sheds like a Pekingese. I can honestly say this is the worst brush I have ever owned. This brush baffles me, I’m not clear on why this brush would be used in place of the others, this brush collects a ridiculous amount of product and is by far the hardest to clean, the only place I ever use it is as a crease brush, but the Real Techniques Deluxe Crease Brush* is much better and a lot cheaper. This is one of those brushes that you use if its there, but you wouldn’t buy again. It’s not packed tight enough to get that “perfect” line. This brush feels like a MAC 217 * knock-off, It’s a bit too long though. With such long bristles it makes it hard to get perfectly blended shadows, but it does the trick fir everyday use, I just wouldn’t recommend it to a working makeup artist. Brush cup/holder, Brush Roll, Brush Belt, Brush Shaper, Brush Roll, Makeup Bag, Brush Shaper. The Sigma Brush Cups/Holder are an amazing way to travel with your brushes, as well as have them nicely but conveniently displayed at home. The Sigma Brush Roll is another great way to travel with your brushes and comes in handy on set as well. 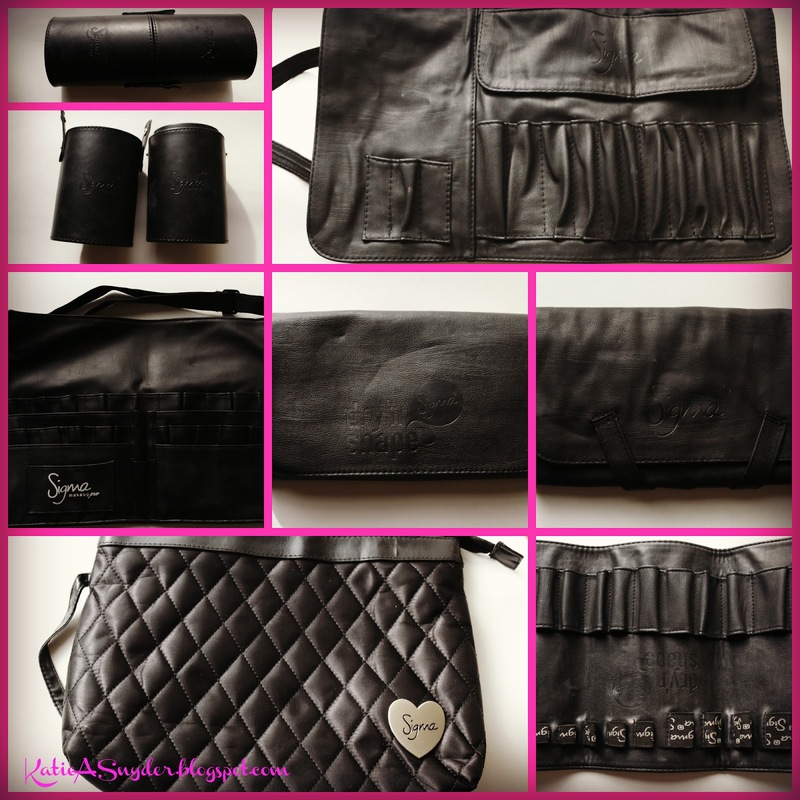 The sigma Brush Belt is only necessary to buy if you are a working Makeup Artist, but it is your typical brush belt. The Sigma Brush Shaper is A-M-A-Z-I-N-G!!! After you wash your brushes you lace the brushes into the Brush Shaper and stand it up to dry with the bristles pointed down, it will not only reshape any overused brushes, but it also makes your brushes last longer as your brushes dry standing up so no water gets into the brush furrow. So as you can see it is a mixed bag of good and bad products, but if you follow the advise above any purchases you make with Sigma you should be happy with. Sigma’s marketing strategy has been somewhat controversial, Sigma “partnered” with several prominent YouTubers/Bloggers to sell their products, these YouTuber/Bloggers would receive some compensation (usually 10%), for sales coming from their viewers. While that sounds perfectly fine, some of these YouTuber/Bloggers really wanted to collect that check, so they talked up the products like no tomorrow, and after a while forums started popping up online about disgruntled viewers and customers. While the YouTuber/Bloggers can’t be held responsible for Sigma’s failure on manufacturing, they do need to understand that viewers believe what they are saying, which means they need to mean what they say. I myself purchased my first Sigma products based on a video I saw with Tanya Burr, and I too felt a little disappointed in the quality of the brushes, I never went so far as writing in forums about it, I simply said well I will do my own YouTube channel and Blog and be 100% honest of everything I try. I don’t want to make it out like Tanya Burr was the only one to endorse Sigma, and I don’t believe she still does, their are several that have and some that still do, I in no way begrudge any of these people for working with Sigma, I think we all would like to see 100% honest reviews on all products our favorite YouTuber/Blogger endorses.. I also don’t want it to sound like Sigma is a horrible company, you just saw the products that I like, and they just happen to make a few products that are of lesser quality than expected because of the price. In the end I actually would still recommend Sigma but I would also advise people to stay away from the items listed in the BAD section. I really wanted to do a blog post that really goes into detail of the Sigma products, as well as the “Sigma Scandal”, I hope after reading this you feel more informed about the company and the products. I also wanted to show you that I’m willing to put my money where my mouth is, so I am doing a giveaway of a Sigma Brush Set!!!! I am giving away 1 Sigma Extreme Color Payoff Kit. This giveaway starts today and ends on August 1, 2014. You MUST comment with your first YouTube Beauty Guru video. My first YouTube Beauty Guru video was with Tanya Burr (I think thats why I was so disappointed about the first Sigma brushes I had, because she was my first so I felt sort of betrayed Lol), it was the Serena van der Woodson video. 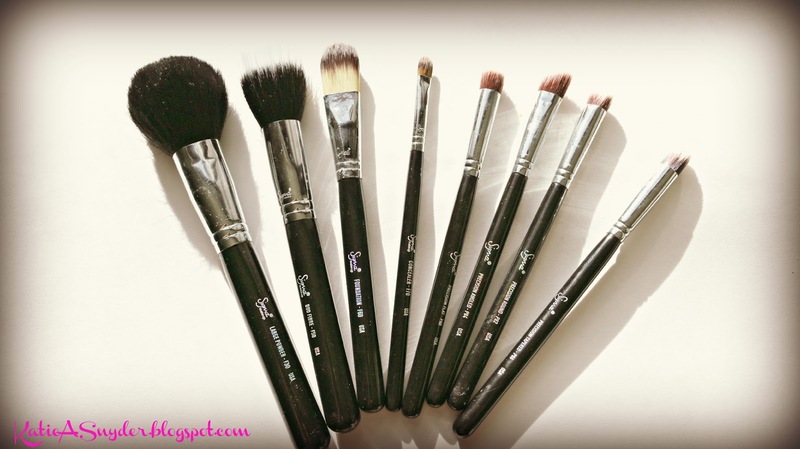 To see my YouTube video on the Sigma Brushes and the Giveaway click here….. I learned a lot of facts abt this brush brand !! I hv never try this before cz they r not sold in my country (I live in Tunisia ) nd It is impossible to buy them online !